Systemic lupus erythematosus (SLE) is a chronic autoimmune disease with profound effects on multiple organ systems. In patients with SLE, the immune system is subverted to target numerous self antigens and the ensuing inflammatory response elicits a vicious cycle of immune-cell activation and tissue damage. Both genetic and environmental factors are essential for the development of this debilitating condition, although the exact cause remains unclear. 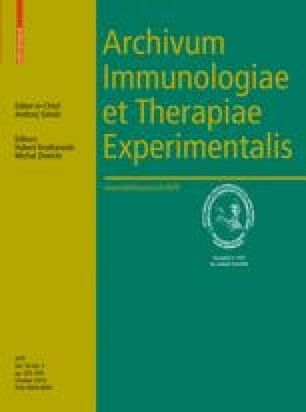 Early studies on the pathogenesis of lupus centered on the adaptive immune system as lymphocyte abnormalities were thought to be the primary cause of autoimmunity. In the past decade, however, this paradigm has shifted with rapid advances in the field of innate immunity. These developments have yielded important insights into how the autoimmune response in SLE is initiated and maintained. Monocytes and macrophages are an essential arm of the innate immune system with a multitude of immunological functions, including antigen presentation, phagocytosis, and cytokine production. Aberrations of monocyte/macrophage phenotype and function are increasingly recognized in SLE and animal models of the disease. In this review we summarize the current knowledge of monocyte/macrophage abnormalities in human SLE and discuss their implications for understanding the pathogenesis of lupus. Y. Li and P. Y. Lee contributed equally to this work. This work was supported by R01-AR44731 from the US Public Health Service and by generous gifts from Lupus Link, Inc. (Daytona Beach, FL) and Mr. Lewis M. Schott to the UF Center for Autoimmune Disease.